There’s been another shakeup at Gucci. 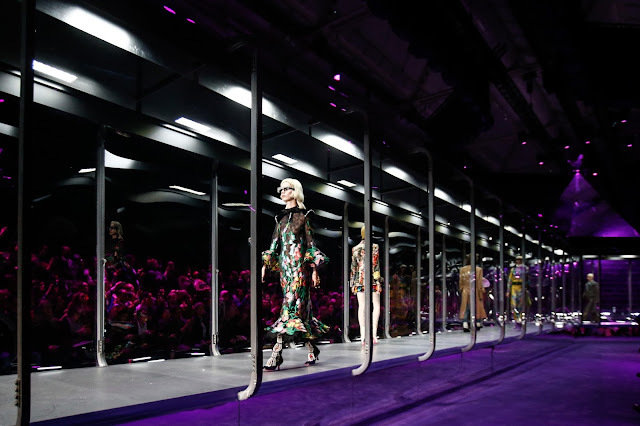 No, there hasn’t been another creative director casualty. Alessandro Michele has consolidated menswear and womenswear, presenting his first combined offering last Wednesday to a thousand people in a former hangar on the outskirts of Milan, on the first day of fashion week. Combining menswear and womenswear has been one of the fashion industry’s pressing questions—is it worth it? In general, no. 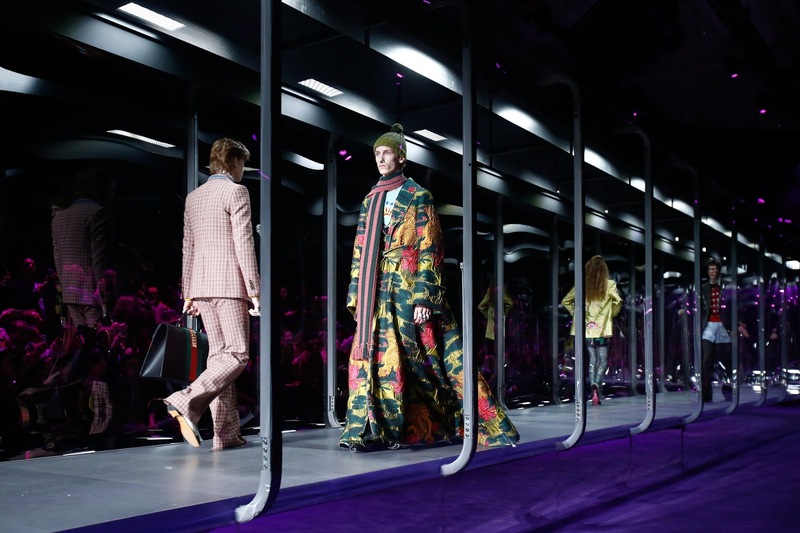 Menswear deserves better and a combined show means less womenswear and menswear press and buyers will be issued invitations and the womenswear is always going to receive more press. 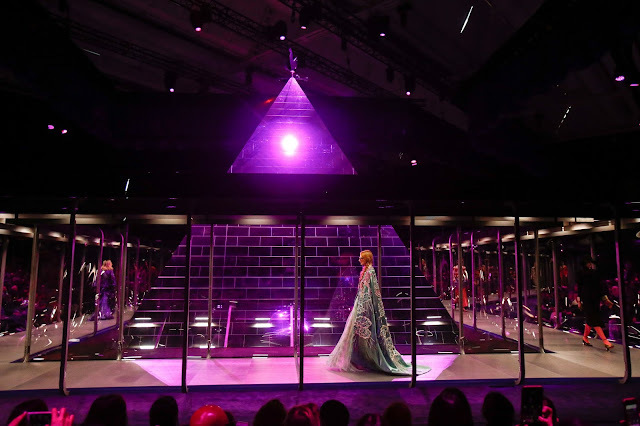 At Gucci, it was a misfire. Michele’s menswear is strong and has been since his debut, it is a shame to see it almost sidelined by the more dominant womenswear. Collectively, it was a reminder of his talent. It’s easy sometimes to forget why the industry is up in arms about Michele. Oftentimes when there is this much spotlight on a designer becoming cynical is an expected followup move. However, the laudatory praise awarded to Michele isn’t unfounded: it’s absolutely warranted. Revolutionary isn’t a word to be thrown around lightly and I try to refrain from using it, but I believe Michele is revolutionary. He operates sharply against the vision of ‘stealth wealth’, which Céline and Victoria Beckham keenly propositioned the customer post-recession; his work is an antidote to all that. Reigniting the maximalist flame with surface decoration, rich embroidery, elaborate embellishment! It was a feast for the eyes—sensory overload, a welcome challenge. Secondly, he remains one step ahead of the rest. Others quickly followed suit when he reintroduced the notions of luxurious maximalism. 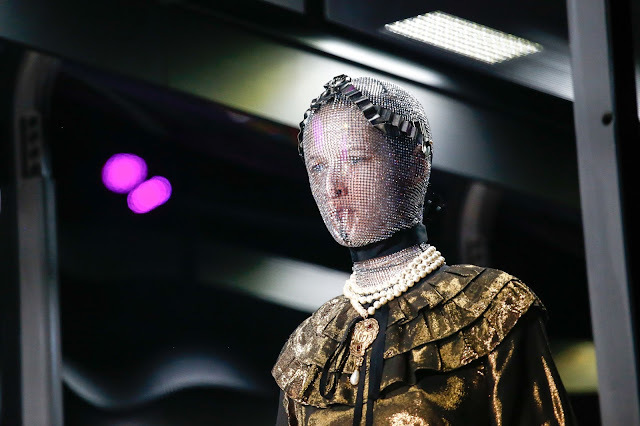 Also, his incorporation of counterfeit culture, unconventional views of masculinity inspired a movement among womenswear and menswear designers. The Fall 2017 collection was a show comprised of 119 looks. The show only lasted 18 minutes, the models walked in quick succession. The fleetingness, the sense of urgency, it contributed to the idea that aesthetic of the nu-Gucci is here to stay, but you better blink before you miss it. 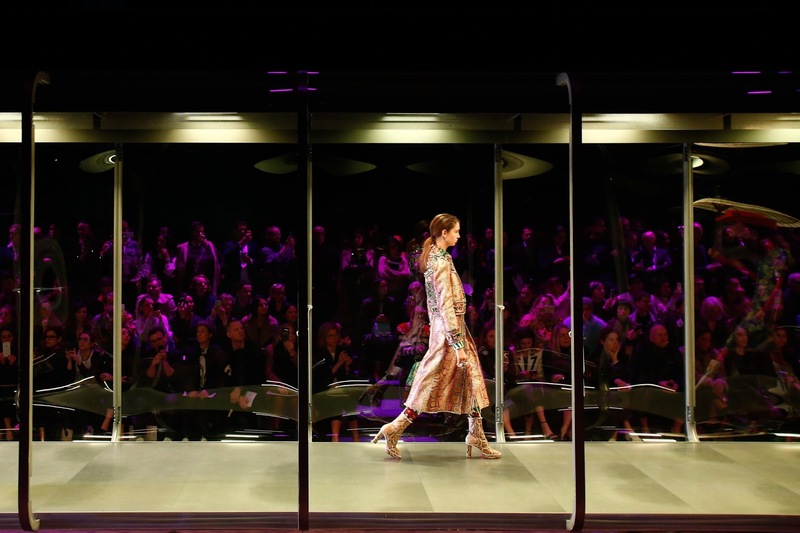 Fashion shows aren’t what they used to be and the pace of this show inspired desire—you were left wanting more. More punk! More Bowie-esque menswear! More twee lady! More chinoiserie! More is more with Michele, and we’d expect no less. There were even whiffs drag in this collection—a purple lurex gown with ruffles; the model wore a garish blonde wig. My favourite piece was the sixty-third look; a grey, wide-shoulder wool coat with an embroidered rose. 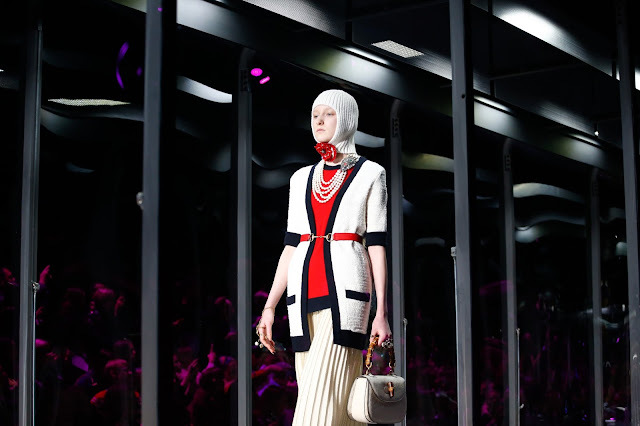 There was simplicity to it, but it was unmistakably Gucci. One YouTube account wrote, “it’s the Royal Tenenbaums on cocaine”, in the comment section of the Gucci panel on SHOWstudio. 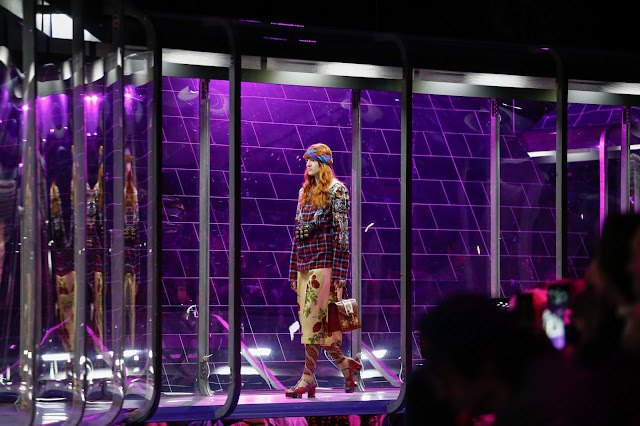 Margo Tenenbaum is always a name thrown into the equation when discussing Michele’s Gucci. She and the film her character originates from capture the oddball spirit of this reincarnation of the Italian luxury goods house. 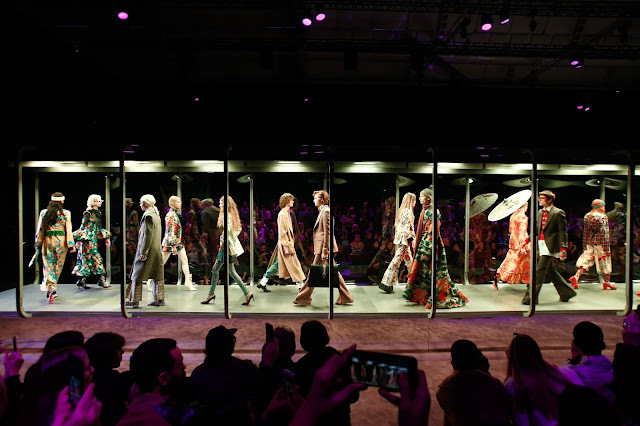 But back to the comment about cocaine—a Gucci show nowadays, bursting with all its colours, embroideries and propositions is a delightful, dazed and delicious trip. The Gucci drug is addictive.